After a few tiresome weeks of intense lab activities at the Dallmann Laboratory and occasional field excursions in Potter Cove on King George Island, my work in Jubany (nowadays known as Carlini Station) finally came to an end. This was November 2007. 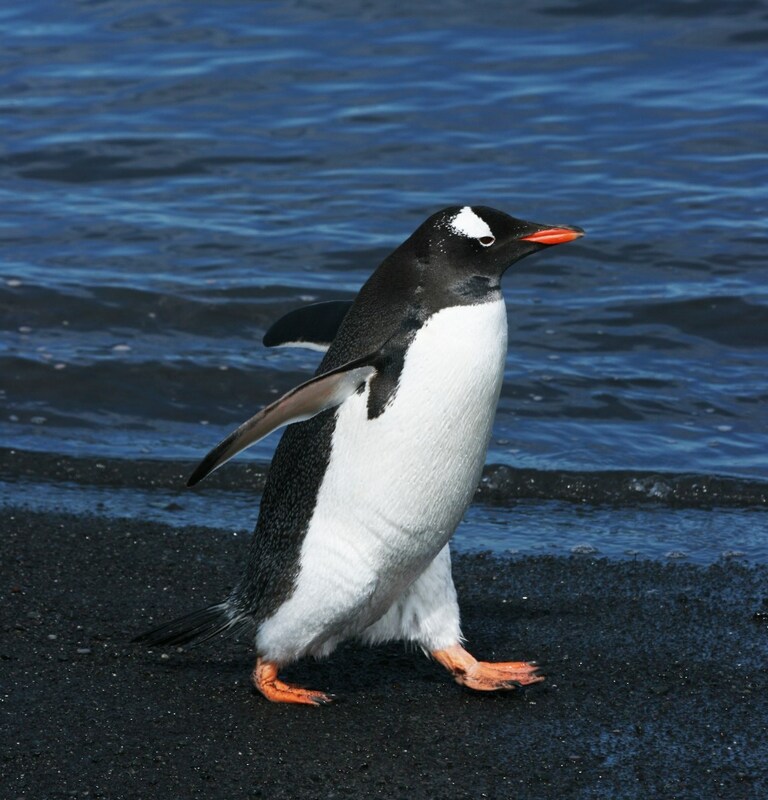 Antarctic Summer. And just as on all my other expeditions, it’s only at the end that I realized I had been working all the time and I had simply forgotten to enjoy my stay in this extraordinary setting. On the other hand, even the life in and around the station was pretty amazing and exciting. 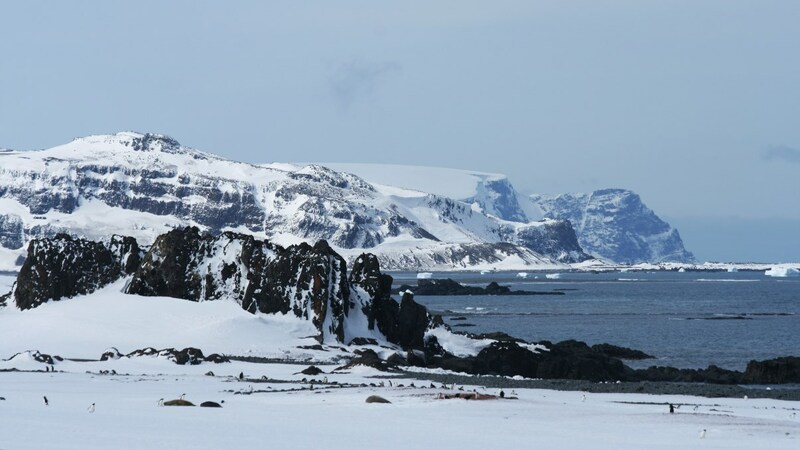 First of all, there were the magnificent views of the glacier, the bay, the Tres Hermanos mountain and all that snow covering almost the entire base (especially the lab containers). Then there were the extreme weather conditions, including fierce snow storms and lots of wind, which didn’t make my work any easier. 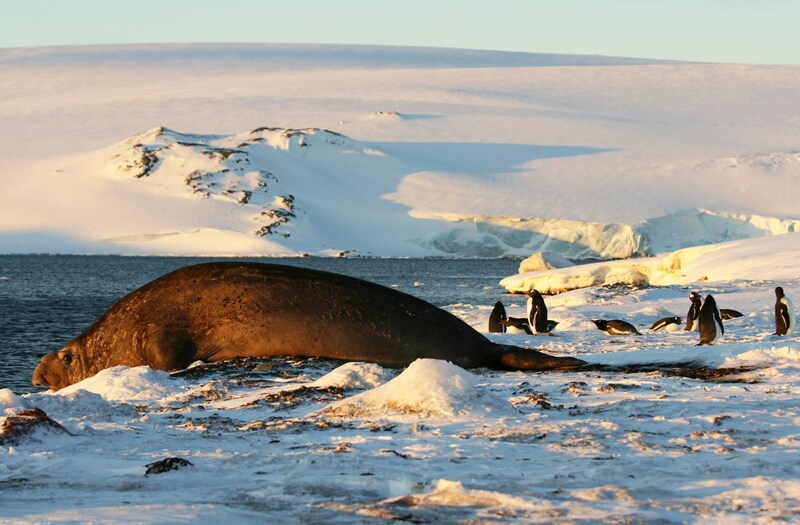 And, of course, there were those occasional encounters with Antarctic wildlife that made up for all the hardship: many south polar skuas, different species of penguin, Weddell Seals, Elephant Seals (which were pretty common on the island) and a one-time visit of a (deadly) leopard seal while we were in a rubber zodiac, with 2 divers completely unprotected 15 m below us in the water (a really threatening and scary experience). The day after my work had officially ended, one of my colleagues asked me if I would care to join him on a hike to Stranger Point, together with one of the mammiferos (a biologist specialized in mammals). This was my last chance to finally see a bit more of the island so I immediately said yes! 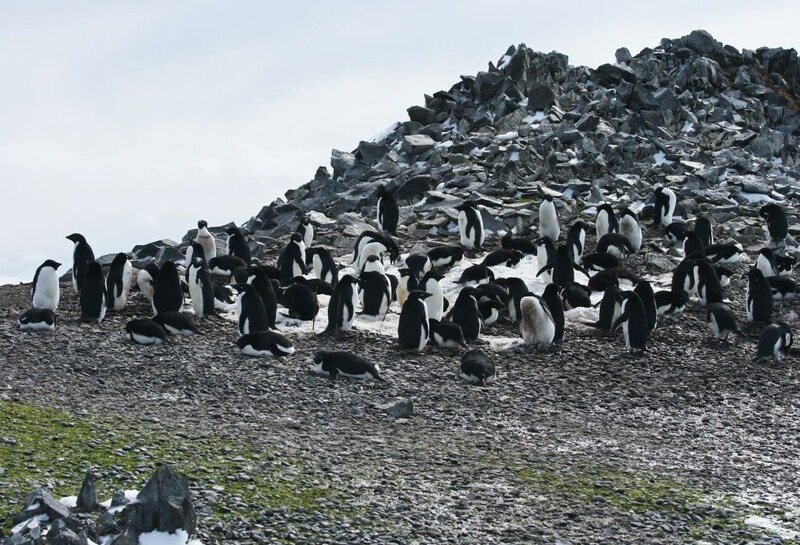 I knew there was a pinguinera (penguin colony) on Stranger Point, and I really didn’t want to miss it. The weather was also beautiful that day, with lots of sun and a blue sky. It was even so hot that I was sweating a lot in my much too warm winter outfit. 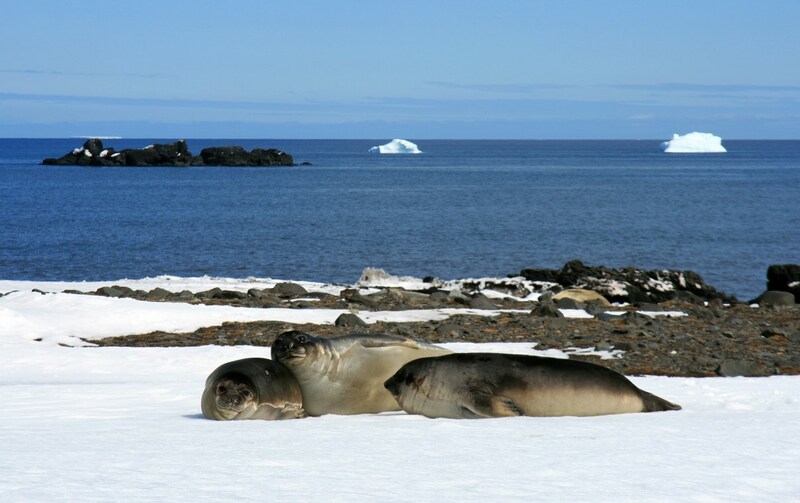 The mammifero slalomed from one seal to the other, examining their health. We saw quite a lot of pups, which were super cute! One of those cute pups. 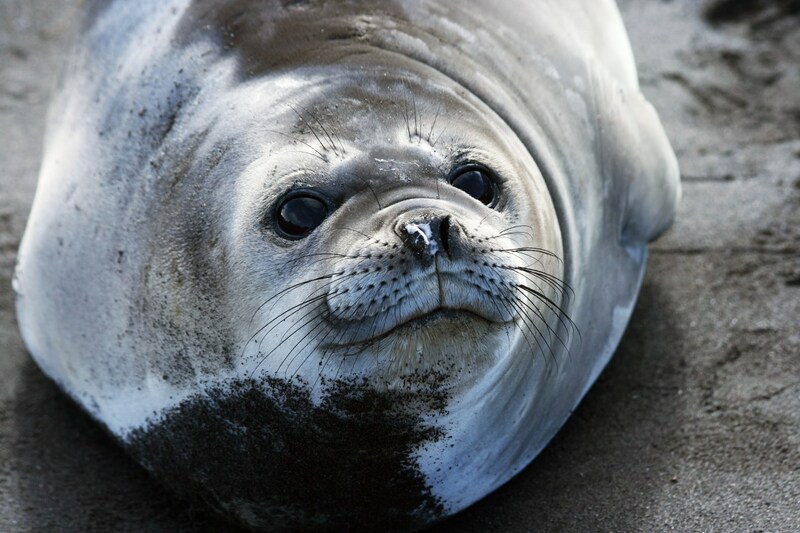 Close-up of a young elephant seal’s face. 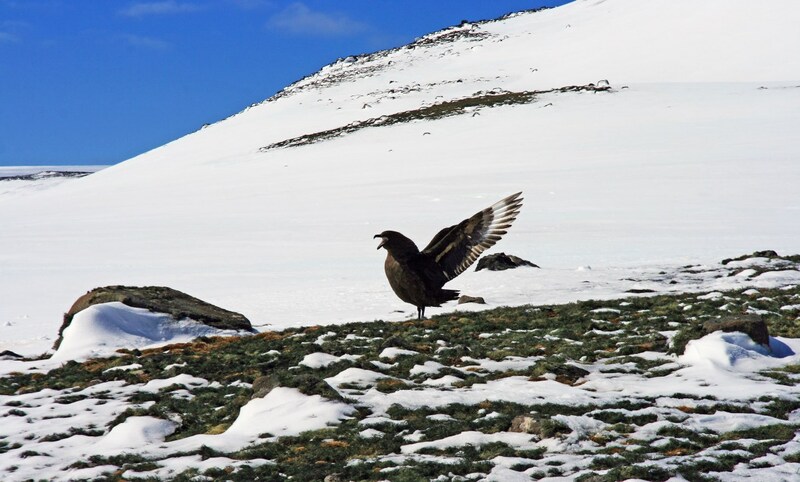 Occasionally, we came across a few skuas. At the beach that we had visited the day after my arrival, we turned to the left, towards the refuge of the mammiferos. 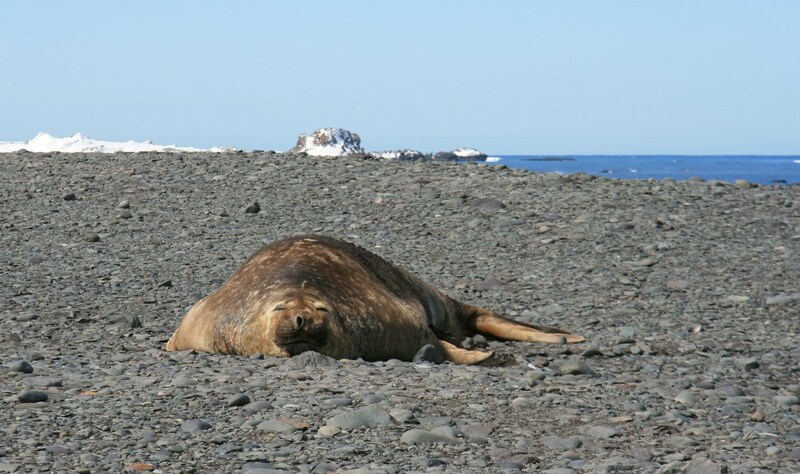 There were lots of huge elephant seals here, and a single Weddell Seal. 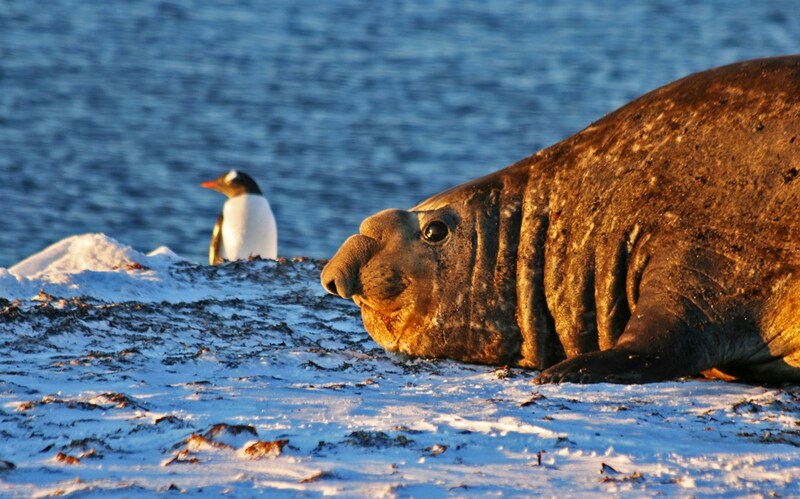 A male elephant seal in front of a Gentoo penguin. 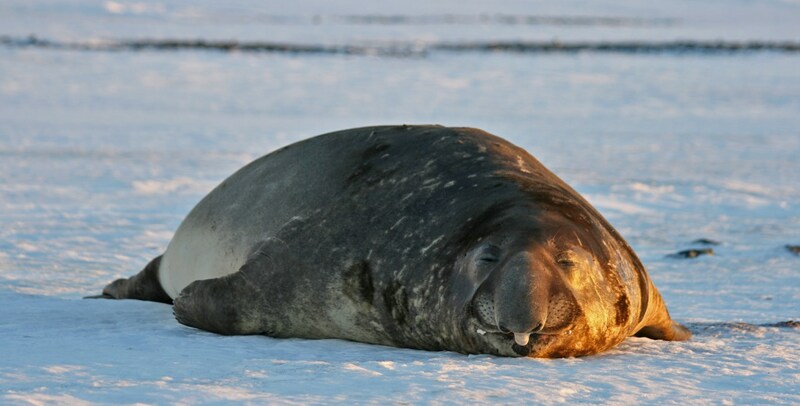 A male elephant seal: such an impressive animal! 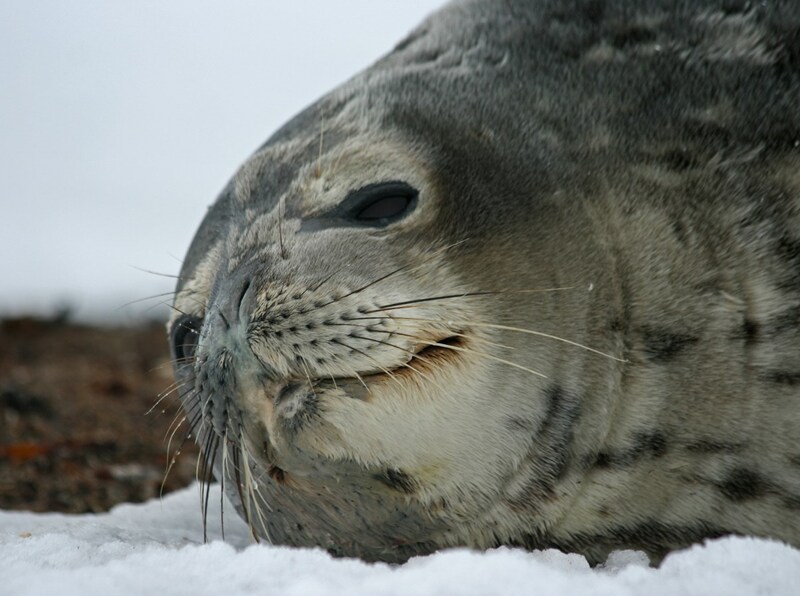 Head of a Weddell Seal. 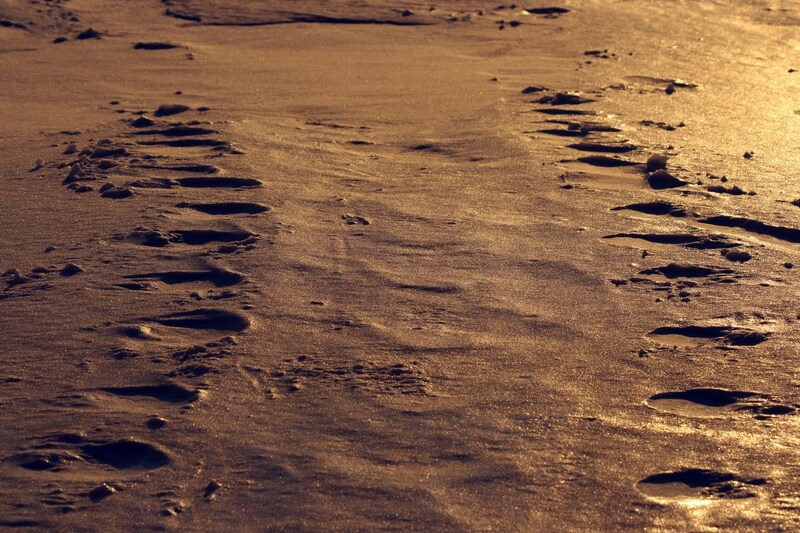 The walk along that beach was wonderful. 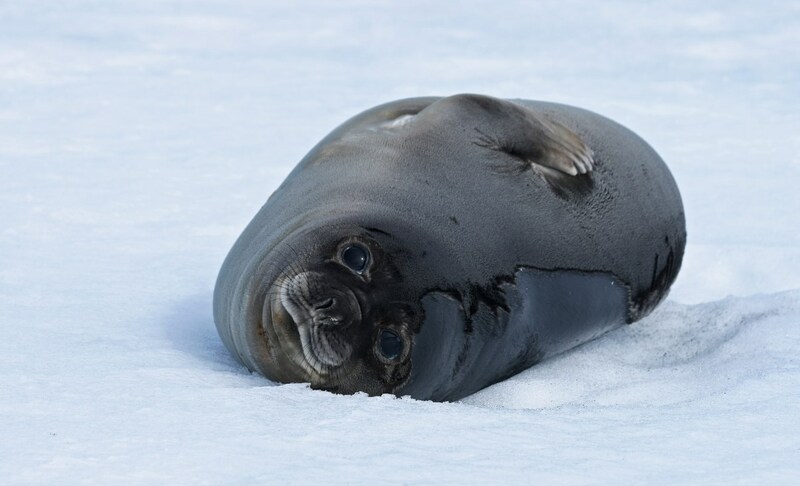 Even though we didn’t approach the seals too closely (they are cute but not at all harmless, especially with all the pups around), they were all around us and I realized this was a once-in-a-lifetime experience (although I really would love to come back to the Antarctic with my wife and daughter one day). 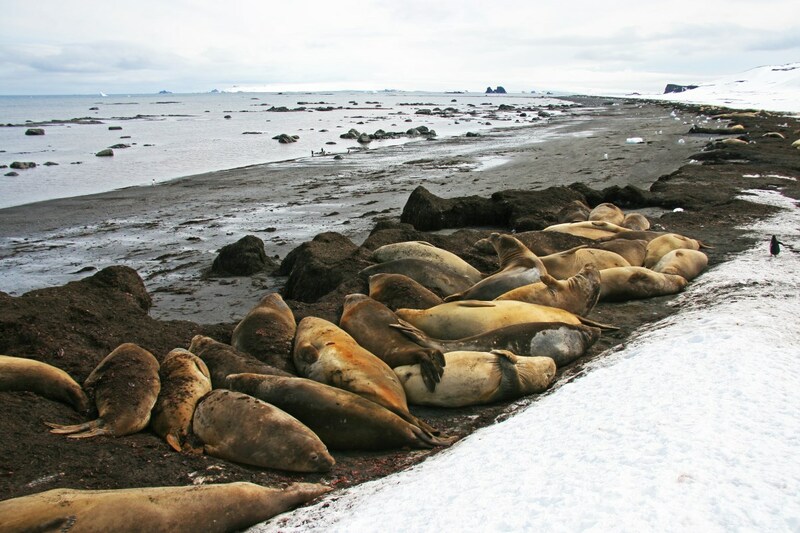 A group of young elephant seals along the road. In between those giants, a lot of penguins were walking around. Some of them were enjoying a stroll along the water line (disturbance by nosy skuas was clearly not tolerated! ), others were swimming or just standing around, enjoying the view and wondering what those strange, colourful mammals were doing on their beach. 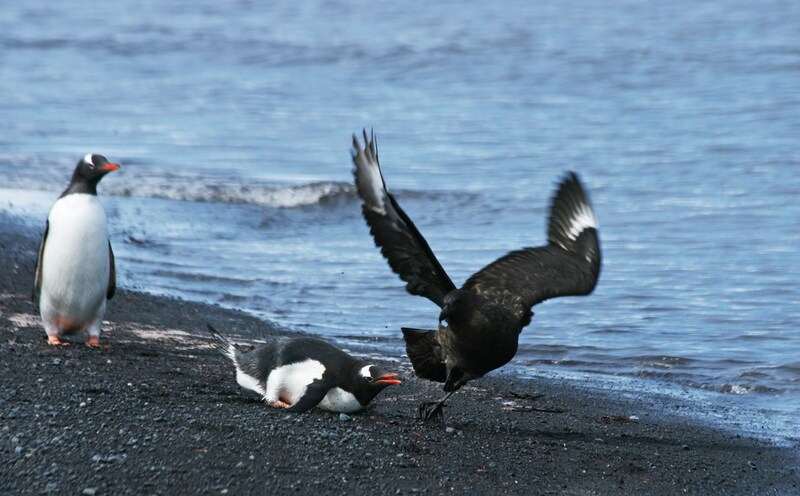 The skua is not welcome! 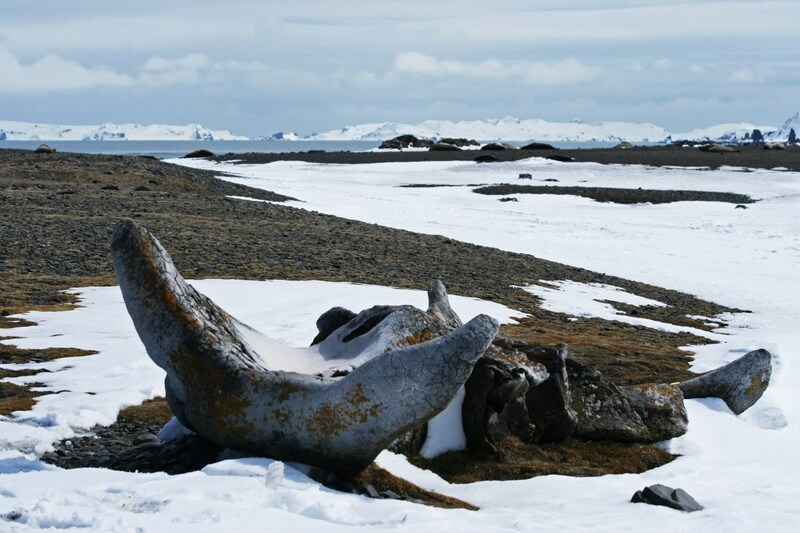 The beach was also “decorated” with strange ice formations (almost sculptures) and a group of weathered, old whale vertebrae. I could really appreciate the aesthetic value of these huge bones. 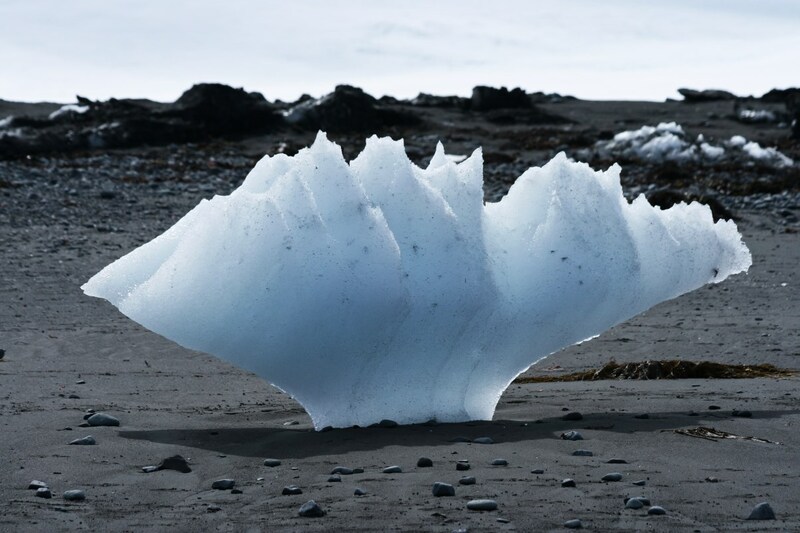 Weird ice sculpture on the beach. 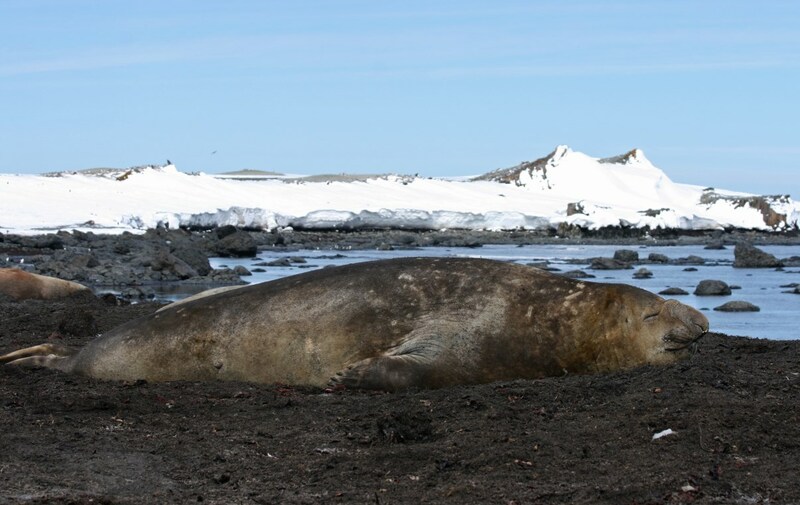 Only a few tens of meters in front of the penguin colony we had to pass a huge pile of elephant seals, clearly enjoying an afternoon siesta together. 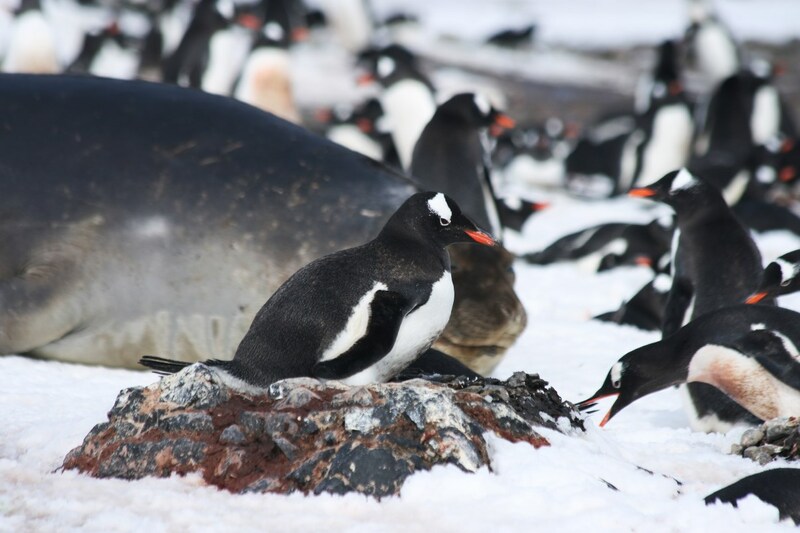 Although the penguin colony was a bit smelly (the smell of not-so-fresh fish), walking in between Gentoo and Adelie Penguins, watching over their eggs, was just a unique experience. Just a small section of the colony. 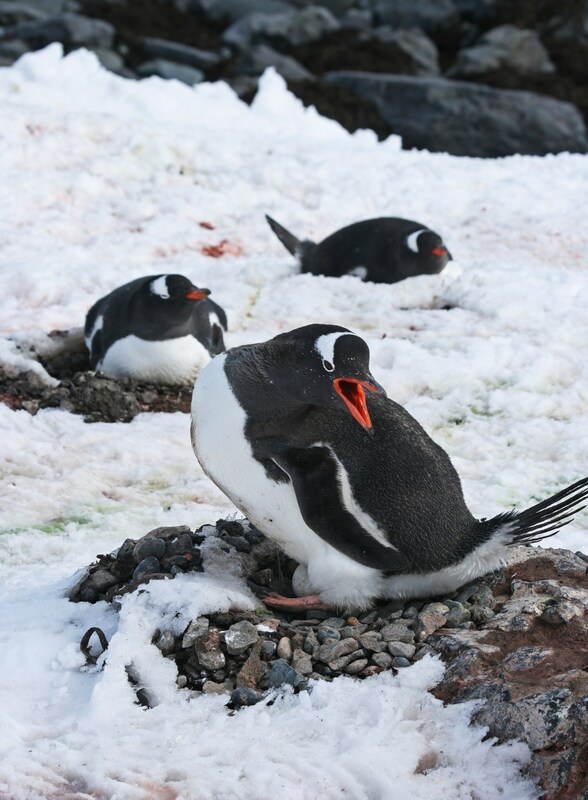 Gentoo penguin sitting on his/her egg. 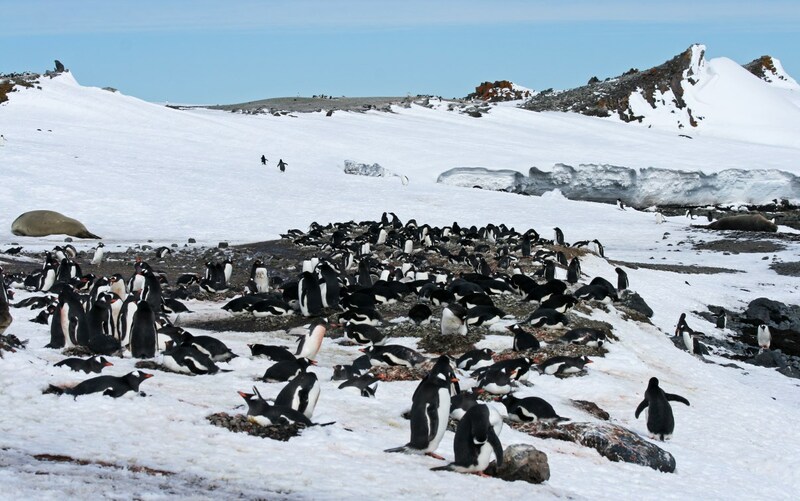 Breeding colony of Adelie Penguins. 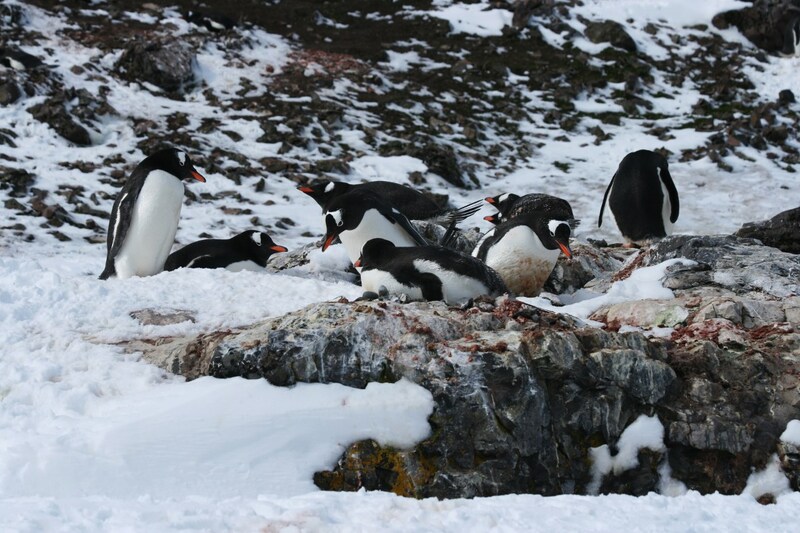 We didn’t stay too long inside the colony because we didn’t want to disturb the breeding birds too much. We headed back to Jubany under the evening sun, plowing through the snow but intensely enjoying the moment. What a day! 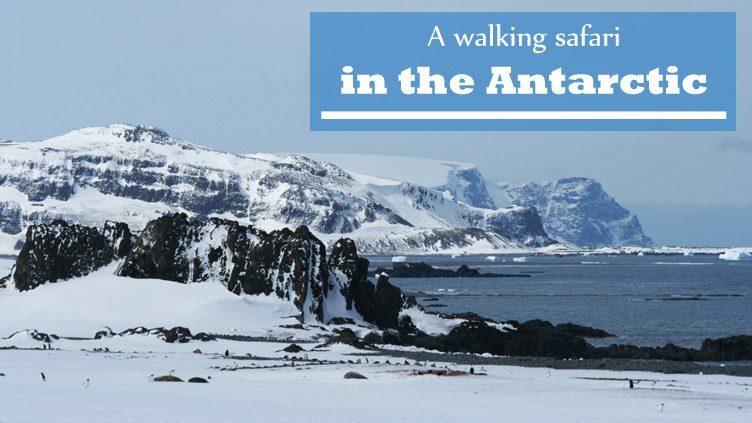 Thank you ourworldheritagebe for info and stunning view of Antarctica. We wander where is heaven, may be It is the real heaven in our earth. The nature is great.